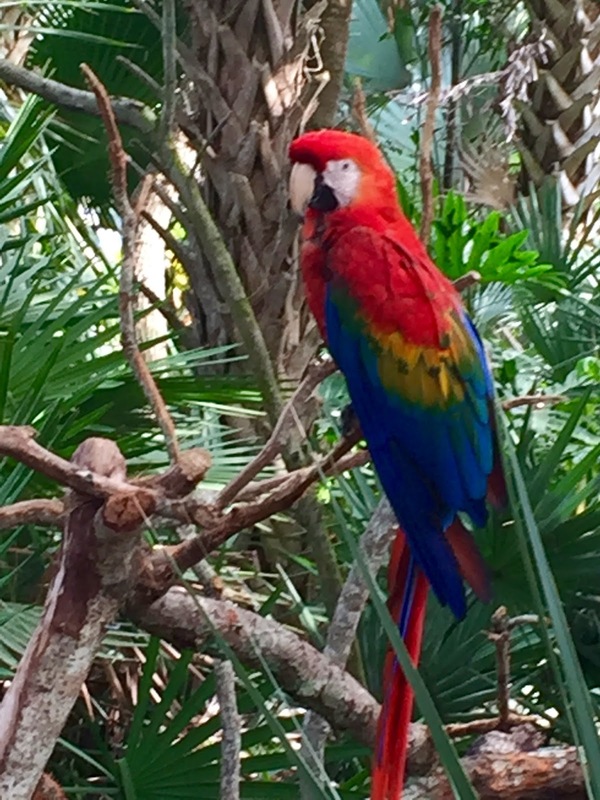 On Saturday morning we woke up fairly bright and early to head to the Brevard Zoo! 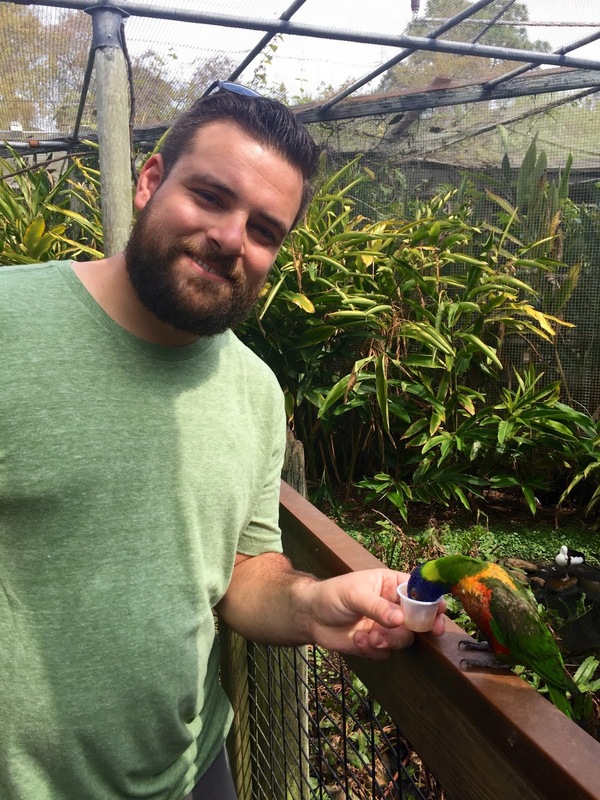 As an animal lover I was so excited for this trip! 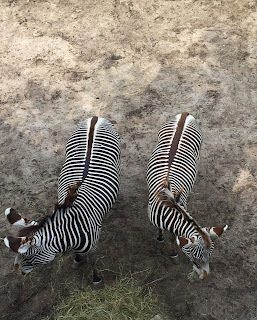 Last summer we went to the two zoos in our area, Roger Williams Zoo and Southwick's Zoo and had a blast at both. We also went to Mystic Aquarium on one of our first dates! So basically we are all-around animal lovers and can't help ourselves but visiting every place that becomes an option! There are SO many birds in Florida and the zoo was no exception. From parrots to flamingos to macaws the zoo was full of winged friends! 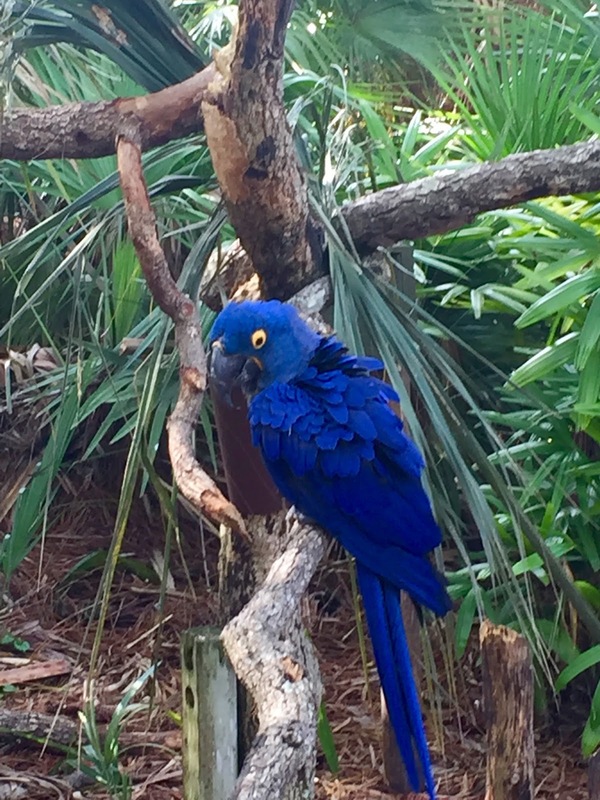 There was another zoo patron nearby who was trying to talk to this bird named Thor. She said that she has been to the Brevard Zoo many times and Thor sometimes will have conversations with her. Unfortunately we didn't hear a peep from Thor! 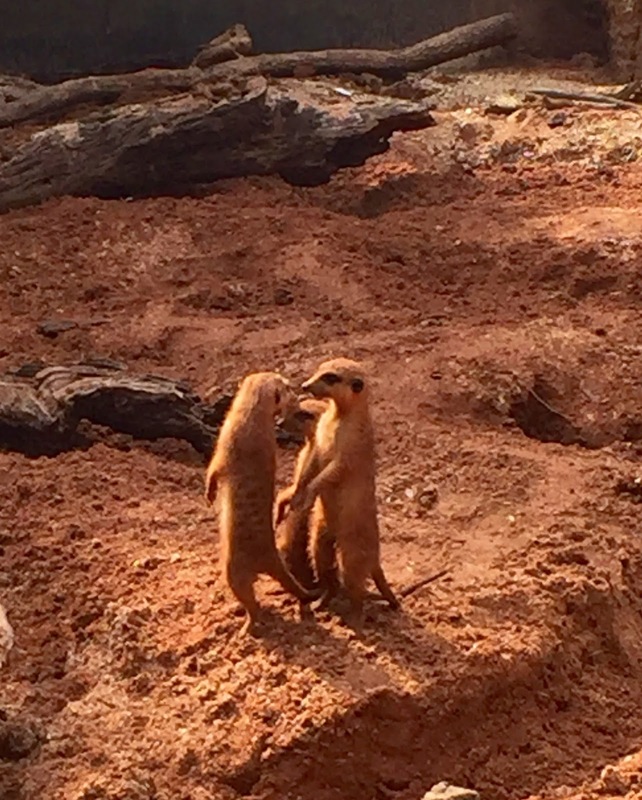 The meerkats were ADORABLE! They were one of the first exhibits at the zoo and there were more then a dozen of them running around their habitat. I immediately thought of Timon from The Lion King. Such a cute animal that we don't have in our zoos nearby! 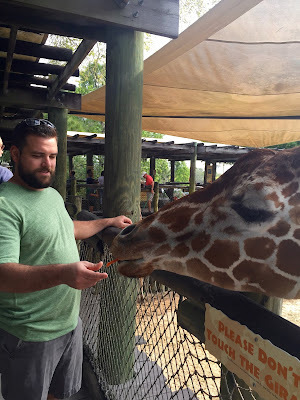 One of the coolest things we were able to do was feed the giraffes! We had fed giraffes back on our third date (which I don't have blogged because well THAT would have been awkward!) but at Roger Williams Zoo it felt so structured and was a quick process. 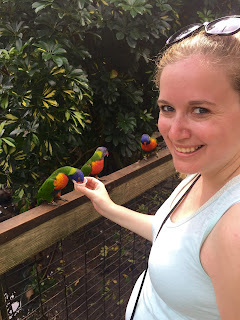 Here you were able to feed them as many times as you wanted (permitting you bought food of course) and were able to get so close to them even without feeding them! I could've stood there on the platform for hours just watching the giraffes interact with people. They are such sweet animals and it was an incredible experience to feed them. In case you're curious I do not know the family next to me! 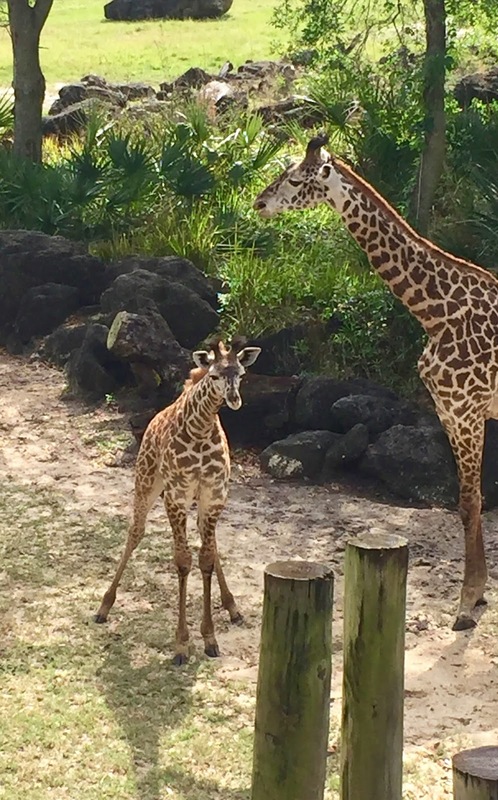 They were just watching me feed the giraffe! 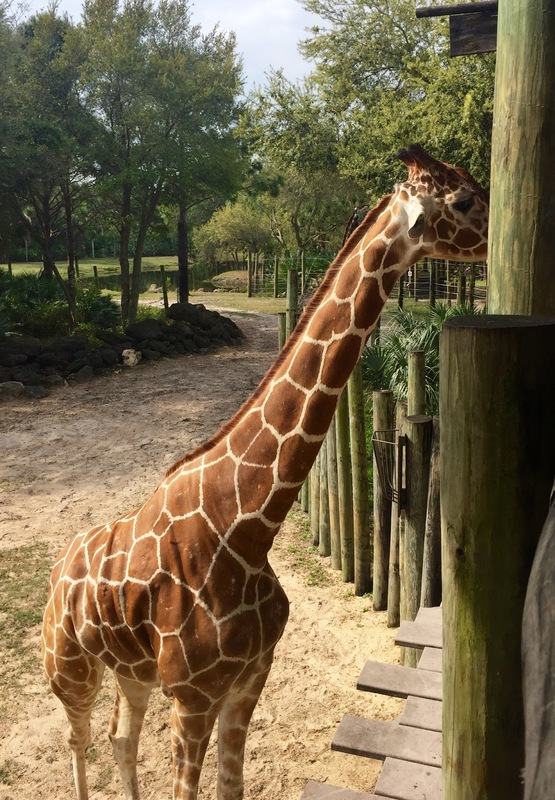 You weren't allowed to touch the giraffes since they are not huge fans of being pet but just being close to them was enough! 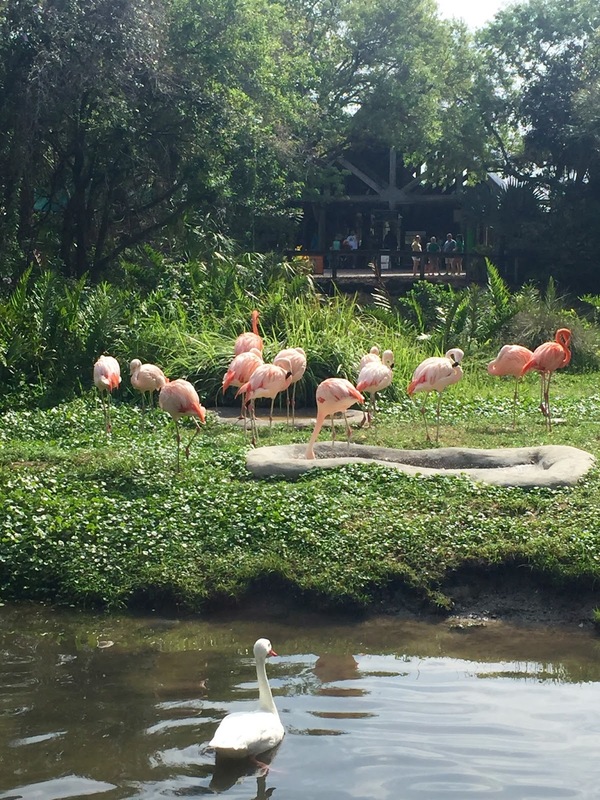 I'm not sure if you can tell but this was my favorite part of the zoo! 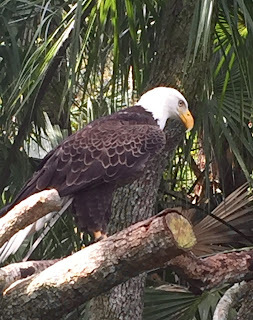 I took a million pictures of these beautiful animals! There was even a baby! I love how his legs are so far out to the sides! 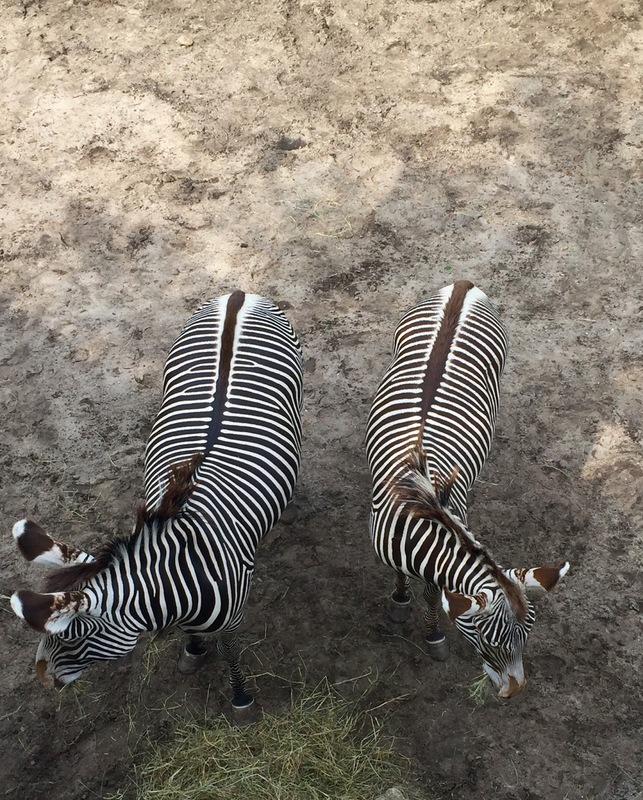 and mirror image zebras! I love how they were standing as mirror images of one another. 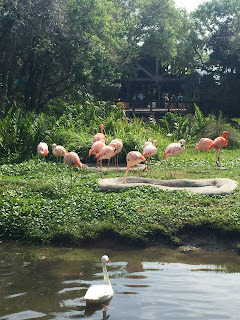 Near the food area there was a little island with flamingos and other birds. We were able to buy food from a little machine and they went crazy! 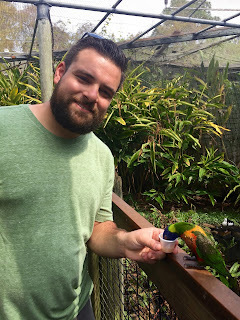 We were even able to feed them! 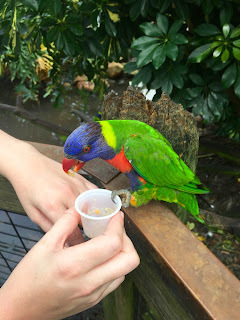 Part of our ticket allowed us to buy little cups of nectar that the birds enjoyed eating right out of. 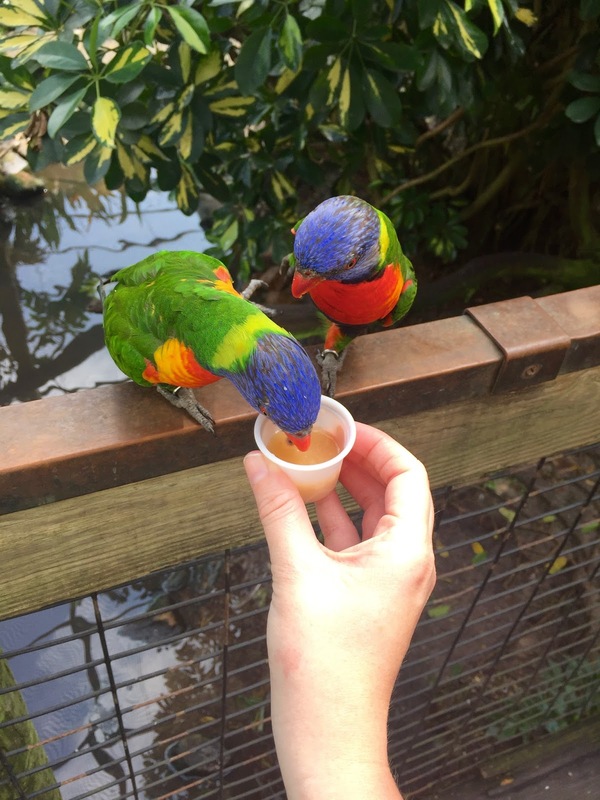 We had birds fighting over who got to eat out of our cups! There was another section where you could feed birds seed off of a stick but we had done that previously so we chose the nectar cups! 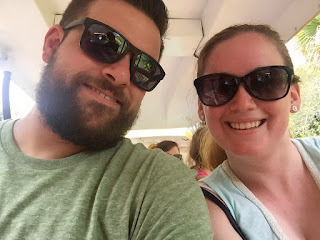 We also were able to go on a train ride as part of our ticket, however other then seeing camels we didn't see anything new! It was nice to sit down and get a bit of a breeze since it was such a hot day! 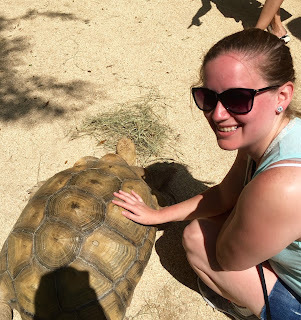 There was also a petting zoo area where we were able to pet a tortoise. I kept petting his shell and Tim commented that he probably couldn't feel it. Well the zoo employee keeping watch let us know that they actually CAN feel people petting their shells due to having nerve endings there, pretty cool! There were also goats that went unpictured because they weren't too exciting or friendly! 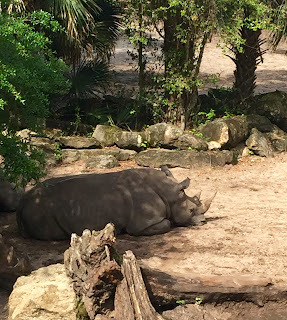 We considered going to the Treetop Trek where you can zipline over the zoo but would've needed to wait over an hour so maybe next time we visit! The rest of the day was unphotographed unfortunately, we went to visit Tim's grandparents who live just a half hour from my parents. We had a great visit and were able to chat with them quite a bit and it was great to meet them for the first time! We also enjoyed dinner at Captain Hirams with my parents and we stayed a bit later then them to enjoy a few drinks and the atmosphere which is always fun there! 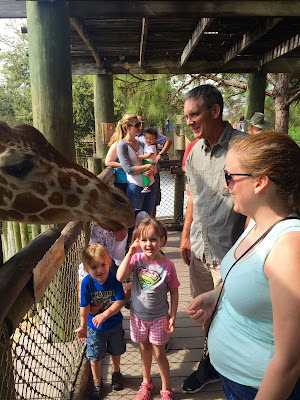 What is your favorite zoo? Have you ever gotten to do a fun experience at the zoo? Let me know in the comments!